Business economist, born in 1965, is specialized as a business consultant to companies in the automotive industry (car repair shops and parts dealers). 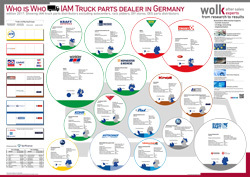 He headed from 1986 to 2009, the auto parts Quack GmbH, a regional wholesaler of automotive spare parts and accessories. Here he focused on sales, marketing, and logistics. Since 2010 he has been an independent consultant in Cologne. The Team has a deep Automotive Aftermarket knowledge. We all had Managers or Directors responsibilities at top spare parts manufacturers, which allow us to bring you professional and personalized supports. Efficiency, quickness and operational results are our keywords. Being more flexible and less costly than the traditional consultants, while maintaining a high technical level and commitment to the projects in which it works on, ACM clearly meets the needs of various companies of all sizes. As a management consultant with extensive experience in the automotive environment, I support you in optimizing your company business processes to identify possible deficits and to develop the right future strategy. My specialization lies in all areas of sales and personnel development. As a partner and manager of Coaching Concepts, I offer individually tailored staff development and use award-winning training concepts. 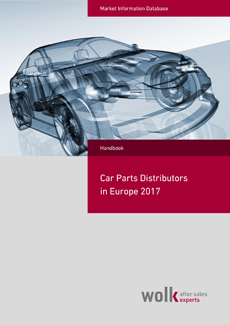 Automotive Research is a consulting company based in Europe with a worldwide network of Automotive Spare Parts specialists, product managers, company owners, parts managers. Reliable knowledgeable people who operate in your market. Auto Research has special expertise and huge data collection of the emerging markets in China and Russia. Ulrich Eggert, Dipl.-Kfm., Born 1948, is a management consultant as a commercial, distribution and trend specialist. He studied marketing at Prof. Dr. Heribert Meffert in Munster and was more than 32 years at the former BBE - Consulting GmbH in Cologne employed, of which more than 20 years in management positions over 13 years as CEO. Today, he is self-employed as a researcher and consultant, speaker, presenter, and author of several books and studies in his field. Training, consulting and coaching workshops for OES and IAM. 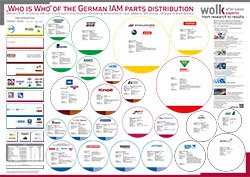 Advising system centers, car manufacturers, and importers. Research, development and market introduction of new service modules and complete offers, especially for medium car dealerships and auto repair shops. Advice and partnerships and active support of emerging economy dealers. Other priorities include implementation assistance and employee motivation. Strengthening the sustainability and competitiveness is flanked by market analysis, marketing, and promotional activities. The development of successful concepts, tailored to your specific requirements. Practical training and active cooperation in the realization of your projects and the temporary transfer of management responsibilities include the services offered by "Let's go". You will always benefit from our extensive industry experience. PGC Automotive helps the automobile trade to interlock and optimize operational processes more closely together. We are aiming for an effective and flexible work to gain more performance for the customer - and thus more success for the car dealer. PGC is specialized in the automotive trade. In order to gain more knowledge, PGC Innovation Point Association has launched: the powerful network of competence for automotive retail - with experts for all operational areas of strategy, structure, and processes, human resources, marketing, finance, taxation and law. Trend Tracker Ltd was formed in the UK in 2003 by experienced specialists as a company dedicated to providing accurate and informed automotive industry research. We undertake bespoke client studies and publish our own reports, and unlike most research businesses, have the automotive industry experience to help our customers implement business improvements predicated by the information we provide. 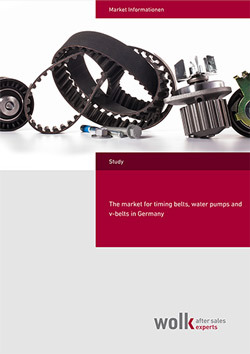 The Leo-Impact Consulting GmbH created the leading European market research for workshop equipment. In 2004 we were consultants for due diligence on the occasion of one of the largest corporate transactions in this market in recent years. The gained know-how with more than two years of research and database-driven analysis LEO-IMPACT is one of the leading market research and market-oriented consultants in the industry. With this reference, conditions are best for our clients and for projects on the occasion of crises or purchase/sale of businesses. This young company supplies replacement parts in original equipment and for the timely and efficient repair. Reputable suppliers from Germany and Europe provide assistance, customer-oriented and efficient creating a genuine and successful partnership with our customers and continue to grow together. The team has been active in the automotive industry and provides a product-specific knowledge. Our extensive product range including more than 20.000 items. 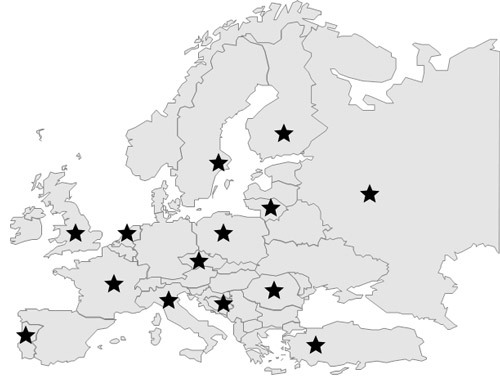 Besides the classic trading, MAcorporate GmbH provides products from European suppliers also worldwide. Germany Speed4Trade is a provider of premium software solutions, which make e-commerce more efficient. Our e-commerce software enables retailers and mail order companies to merchandise speed4tradetheir products via shop and online marketplaces like eBay, Amazon and price searching engines automatically. Our system supports in all areas of e-commerce: product management, creating offers by integrable templates, product listing, customer communication, payment, ordering, and shipping process. With complete packages containing our e-commerce software we also provide professional shop- and web presences. AP Comunicação has for the target to become the best specialized automotive professional publications publisher and events organizer for automotive sector professional operators (Conferences, Workshops, Round Tables, etc.). The Jornal de Oficinas is a specialized, practical and high professional level newspaper. More yet, it is mainly one excellent product guide, with a deep approach on spare parts and equipment technical specifications, use advice and assembly instructions. Are you an automotive aftermarket expert and interested in joining our After Sales Experts Network? 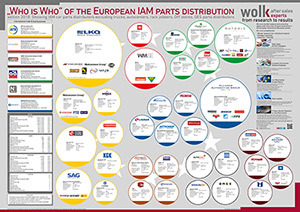 We are always looking for potential partners in all European countries with Automotive Aftermarket expertise. Find more information here, or contact us directly.